Its been over a month now I am returning to my ordinary life as a lecturer. No longer juggling between preparing breakfast in the morning, then teaching and third-floor office at the rectorate building. Then last week, I switched to one of the book case at home. It holds so many important documents including academic reports, transcripts and all the documents from work. Here in Indonesia we very much depend on documents, with official stamps of course! Even in this high tech era, we hold dearly to our paper documents, because it is the official one. Then if we need a copy, we must legalize them to the proper official. Anyway, for so long, that part of the book case was over load. I used to misplaced some of that important stuffs. One time, I misplaced my Employee Card. I tried to look for it, but in vain. So, I went to HR department, and they said “You must find it, cause you will need it for your pension later”. Fiuhh, what an important card…I ended up tearing down the entire house. It took me almost two days to search for it. Thankfully, I found them. Yeah, really, its not easy, to be me haha! After a while, it piled up. And now its the time to sort and organize them all. 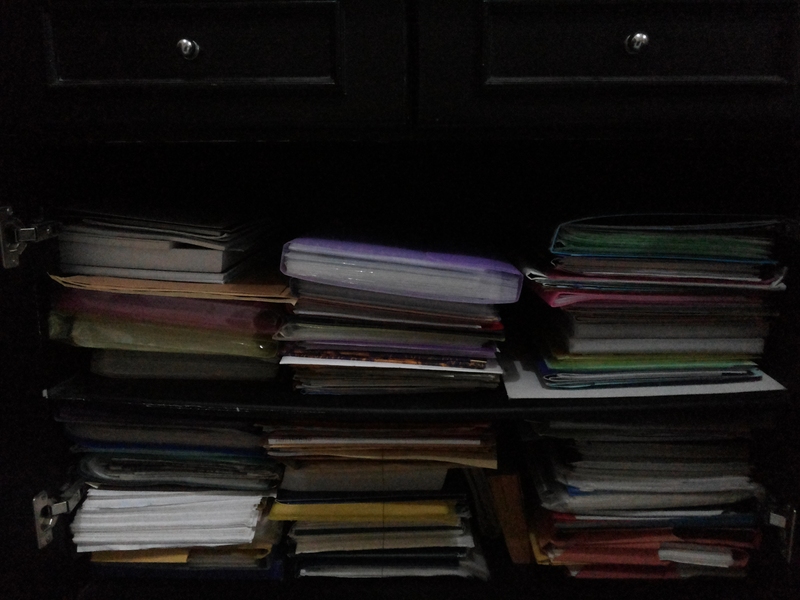 I spent almost a day getting through all those stuffs. Its really gratifying…because NOT Only I managed to make the documents looking clean and sorted, I also ended up walking down the memory lane and find some nice recollections. Its really valuable because it actually record all the places that I lived during my stays in England. 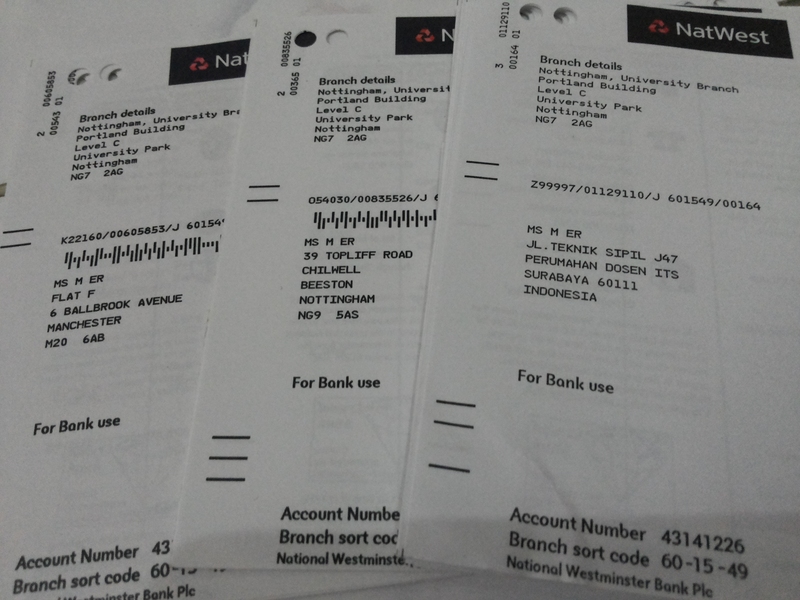 I threw away most of them, but I have the last two addresses. 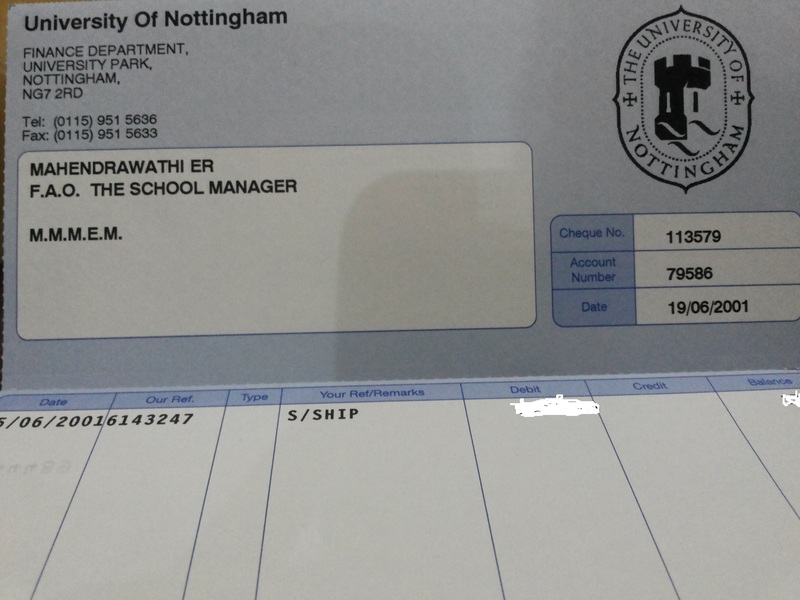 For a while after my Ph.D I got the privilege to work as a Research Assistant at Nottingham University. It was actually my first job. 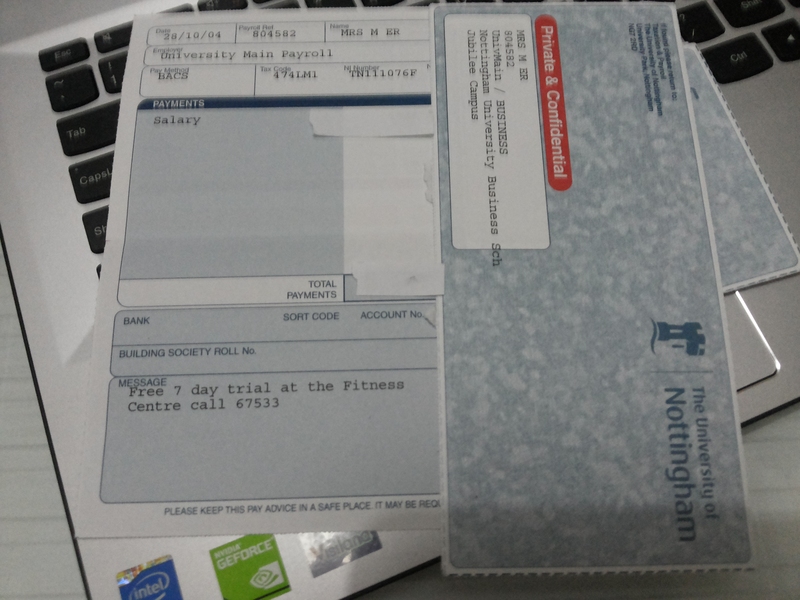 So, from scholarship slips, it changed into payslip, but the joy of receiving them remains the same! They now sat happily at the bottom of the shelf, the sorted one! !